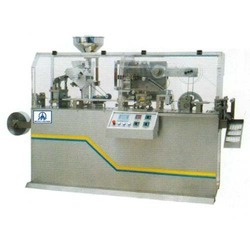 Pioneers in the industry, we offer alu-alu blister pack and alu blister packaging machine from India. Being one of the preferred names of the market, we are engaged in proffering Alu-Alu Blister Pack Machines that are provided at affordable rates. Made available in numerous specifications, these high functionality machines are extremely popular in the market for their operational fluency, reliable performance and low cost. 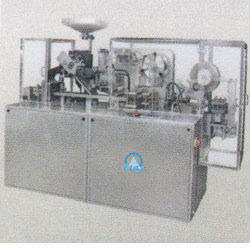 These efficient machines are provided in tamper proof packaging. We are one of the accredited manufacturers and suppliers of a premium range of Alu Blister Packing Machine. Offered product is manufactured using optimum quality components and advanced technology. Moreover, these products are available at very reasonable rate to our patrons.